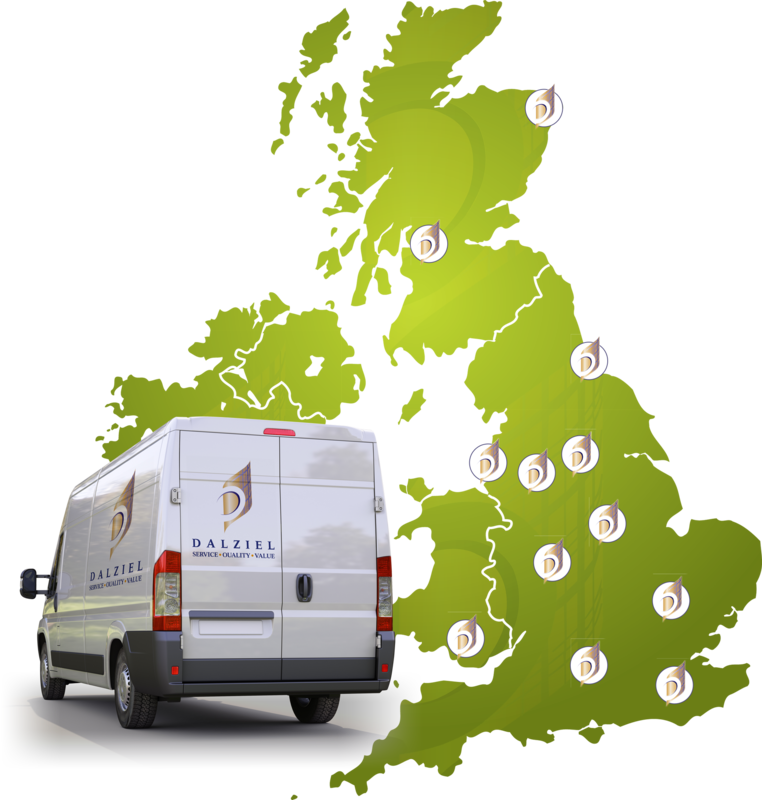 The Dalziel group serves the food manufacturing industry from 12 strategically located distribution sites throughout the United Kingdom. Our distribution network allows us to provide customer specific options ranging from daily deliveries to a just-in-time service. We own all our transport, and have dedicated local customer contacts to assist in stocking and lead time management.